BROKEN PLACES explores why some children are severely damaged by early adversity while others are able to thrive. By revisiting some of the abused and neglected children we profiled decades ago, we’re able to dramatically illustrate how early trauma shaped their lives as adults. BROKEN PLACES interweaves these longitudinal narratives with commentary from a few nationally renowned experts to help viewers better understand the devastating impact of childhood adversity as well as the inspiring characteristics of resilience. BROKEN PLACES, our 33rd documentary, poses the complex question of why some children are severely damaged by early adversity while others are able to thrive. To help answer this question, we dug into 40 years of our film archives to update a few of the stories of children growing up in difficult circumstances that we filmed decades ago. It turns out that some of these children were so scarred by abuse and neglect that they are now in mental institutions, correctional facilities, or drug rehabilitation centers. A few died prematurely. However, there are others who managed to overcome comparable childhood stress and are now healthy, self-sufficient adults. Viewers are given a unique time-lapse perspective, witnessing how a few of these troubled children evolved into the adults they are today. BROKEN PLACES is written, produced and directed by Roger Weisberg, whose previous productions have won over a hundred and fifty awards including Emmy, duPont-Columbia, and Peabody awards, as well as two Academy Award nominations. 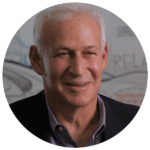 — Jack P. Shonkoff, M.D. Having spent the better part of the past forty years making films about intergenerational poverty, child welfare, and health disparities, I’ve often wondered why some children are so damaged by early trauma while others are able to thrive. Ernest Hemingway had a powerful way of addressing this question in A Farewell to Arms where he wrote, “The world breaks everyone and afterward many are strong at the broken places.” Hemingway’s observation about adversity and resilience captured the key question I hoped to address in my 33rd documentary, BROKEN PLACES. While experts have long understood that there is a strong connection between early adversity and poor mental and physical health outcomes, I didn’t want to rehash this statistical correlation. I realized that I was sitting on a unique film archive that could enable me to dramatically illustrate how the trauma experienced by the children we filmed decades ago ultimately shaped their lives as adults. After paying to keep my films and videos in a climate-controlled storage facility for four decades, I realized I finally had an opportunity to put some of my old footage to good use. I revisited about a dozen of the subjects I profiled as children and chose three of the most moving stories to update with my film crew. Ultimately, we were able to offer viewers a unique time-lapse perspective on how the troubled children we filmed decades ago evolved into the adults they are today. 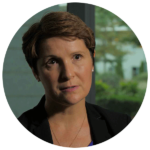 Although there have been other documentaries on this topic, none have been able to present the devastating impact of childhood adversity or the remarkable characteristics of resilience in the context of moving stories that span decades. In BROKEN PLACES we interweave these longitudinal narratives with commentary from a few nationally renowned experts. 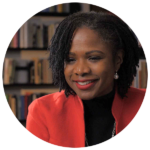 Before my interviews with these experts, I asked them to screen the stories of our subjects, so instead of making broad, abstract, general comments, their observations are grounded in moving narratives. In addition to shedding light on exciting new developments in neuroscience, they also help explain the kind of life outcomes we reveal – why some of our subjects were able to make it while others were not. Along the way, they also help answer some far-reaching questions. How does early adversity affect the brain of young children? Why are some children resilient while others are not? Is resilience determined by genes, the environment, or some interaction between the two? Can we identify children who are likely to be resilient as well as children likely to experience bad mental and physical health outcomes down the road? What kinds of early childhood interventions strengthen resilience, and how can we make these interventions widely available to the children most at risk? I believe that the answers to these questions hold the keys to solving the greatest public health crisis we face today. We profiled Bobby Gross in our 1988 film, OUR CHILDREN AT RISK, when he was an angry 5-year-old growing up in extreme poverty. He was already showing signs of aggressive anti-social behavior at home and failing in school. We filmed Bobby being examined by one of the nation’s most renowned pediatricians, Dr. T. Berry Brazelton, who painted a bleak future for Bobby in the absence of sustained early intervention. Dr. Brazelton’s prediction turned out to be eerily prescient when we revisited Bobby three decades later. We learn that he ended up spending his teenage years in and out of mental institutions and his twenties in and out of prison. He briefly married and had a son, but the authorities terminated his parental rights and placed his son in foster care after Bobby was incarcerated multiple times for abusing his wife and child. At age 35, Bobby’s sole source of support is social security disability. 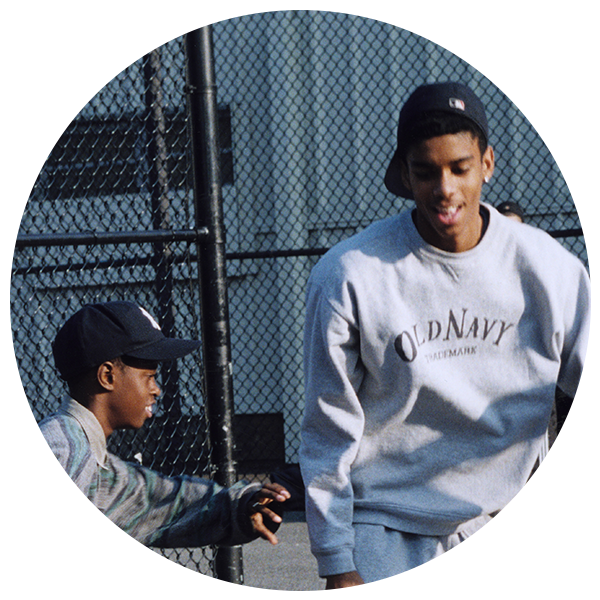 To further explore how childhood trauma impacts children differently, we revisit Danny and Raymond Jacob who were the principal subjects 20 years ago in our Academy Award-nominated film WHY CAN’T WE BE A FAMILY AGAIN. We chronicled the struggle of these brothers after their mother abandoned them at a young age when she became addicted to crack cocaine. Fast-forward twenty years, and we see that Danny went on to attend college, host a radio talk show, and coach a basketball team for at-risk youth. His younger brother, Raymond, had a tougher time overcoming his traumatic childhood. He suffered a mental breakdown in his teens, was hospitalized over a dozen times, and currently draws social security disability. While it’s sad to witness the poor outcomes that some of our previous film subjects experienced, it’s tremendously uplifting to see the remarkable display of resilience shown by others like Daniella Rin Hover. When we first filmed Daniella 16 years ago, she was bouncing around the foster care system after being severely abused and neglected as a child. While living in a group home, Daniella fell in love with Veasna Hover, who also grew up in the foster care system after his parents were murdered in Cambodia. They had their first child while they were both still living in separate group homes and had a second child a few years later. When we revisit Daniella after 16 years, we learn that Veasna began to repeat a deeply entrenched pattern of abuse, forcing Daniella to run away with her kids to a domestic violence shelter. Despite the enormous obstacles she continues to face, we watch as Daniella works full time while completing her college degree and raising her 12-year-old daughter. BROKEN PLACES interweaves poignant longitudinal narratives with commentary from a few nationally renowned experts in the fields of neurobiology and child development. These experts weigh in on the far-reaching impact of childhood adversity as well as the key relationships and interventions that either failed our subjects or helped them overcome the obstacles they faced. Viewers hear from Dr. Jack P. Shonkoff, a pediatrician and the Director of the Center on the Developing Child at Harvard University, who explains how exciting new developments in imaging, neurobiology, and genetics now offer a clearer picture of the myriad ways that childhood adversity affects brain architecture, early development, and later-life outcomes. 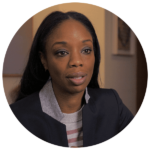 We interview another visionary pediatrician, Dr. Nadine Burke Harris, who founded the Center for Youth Wellness, and is leading a national effort to revolutionize pediatric medicine and transform the way society responds to kids exposed to significant adverse childhood experiences and toxic stress. 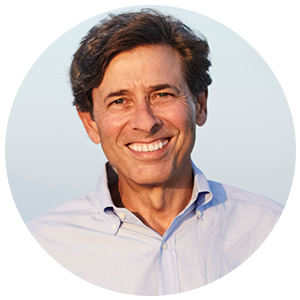 We also interview Dr. Thomas Boyce, the Chief of the Division of Developmental Medicine at UCSF, who explains that children have different genetic susceptibility to adversity. Dr. Boyce labeled resilient kids dandelions, because like the flower, they are able to survive and even thrive in a harsh environment. 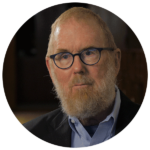 In contrast, Dr. Boyce described highly sensitive kids as orchids, because they need a great deal of nurturing in order to thrive. BROKEN PLACES illustrates how neuroscientists are now able to identify children who are at high risk for suffering from what the experts call “toxic stress” – stress that is extreme, frequent, or extended in the absence of a supportive adult relationship. We see pediatricians screening for toxic stress in their offices the way they screen for other diseases by collecting samples of urine, saliva, or hair. The ultimate goal of all these studies is to identify the most vulnerable children in order to target early interventions to those at greatest risk. 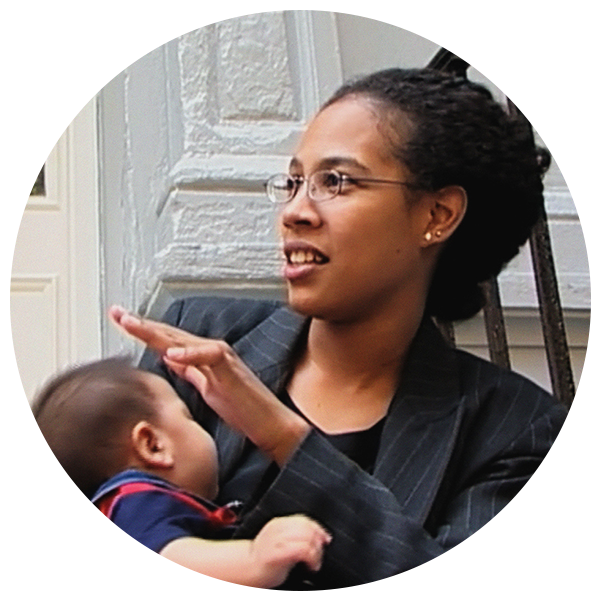 Dr. Rahil Briggs, the National Director of HealthySteps, is enrolling at-risk families into a model program which provides behavioral health and parenting interventions for young parents and their children during routine pediatric visits. This prevention model now operates in 130 pediatric clinics in 20 states. Another program that has successfully demonstrated that early childhood interventions can be brought to scale is the Harlem Children’s Zone. 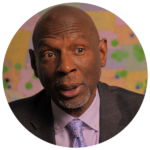 We interview Geoffrey Canada, who achieved such impressive results over the past 30 years that other cities, like Minneapolis, have eagerly adapted the Harlem Children’s Zone model. We travel to the north side of Minneapolis, where we meet Sondra Samuels, who runs NAZ, the Northside Achievement Zone. We illustrate how NAZ’s two-generation approach uses family and academic coaches to promote healthy child development and school readiness. We also capture an emotional scene as proud parents come forward with their 3-year-old babies to receive their graduation certificates during a stirring College-Bound Babies ceremony. 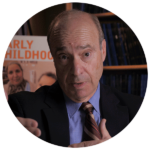 In Minneapolis, viewers also meet economist Art Rolnick, a Senior Fellow at the Humphrey School of Public Affairs, whose data shows that every dollar invested in high-quality early childhood intervention for disadvantaged children pays an inflation-adjusted 18 percent annual rate of return. The goal of BROKEN PLACES is to reveal what we know works so that children facing difficult circumstances can thrive. Ultimately, viewers who meet Bobby Gross, Daniella Rin Hover, and Danny and Raymond Jacob will understand why investing in children at risk is far less costly than paying for the downstream costs of inaction. Roger Weisberg joined public television station WNET as a staff Producer in 1976. 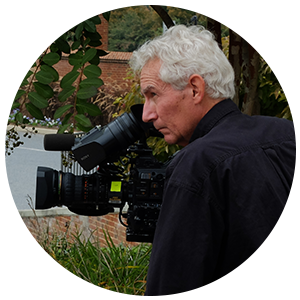 Since 1982 when he founded an independent production company, Public Policy Productions, Weisberg has written, produced and directed 32 documentaries. These films aired in primetime on PBS in the U.S., and many were released theatrically and broadcast around the world. Weisberg’s documentaries have won over 150 awards including Peabody, Emmy, and duPont- Columbia awards. He received an Academy Award nomination in 2001 for Sound and Fury and in 2003 for Why Can’t We Be a Family Again? Additional information about Weisberg’s previous productions can be found here. John Hazard is a cinematographer with a long resume of documentary films and a special passion for cinema vérité. John has traveled the world shooting documentaries for Discovery, National Geographic, and the New York Times. Recent productions include NOVA, History Detectives, and biographies about Richard Nixon, the Kennedys, and George Wallace for PBS; King Tut’s Final Secrets for National Geographic; and Triangle: Remembering the Fire for HBO. John also shot five of Roger Weisberg’s documentaries over the past decade. 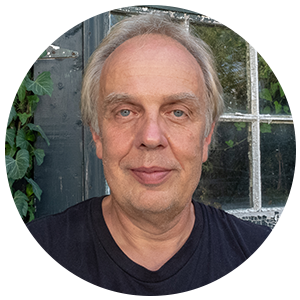 Pascal Akesson has been a film editor for over twenty-five years. His award-winning documentaries have appeared on PBS, HBO, Discovery Channel, History Channel, ABC, Canal+, Arte, NHK and Lifetime, as well as at numerous international film festivals, including Cannes, Berlin, Sundance and Miami. Recent productions include Women, War and Peace for PBS, a five part series on women’s role in war and peace building; Dirty Business, a documentary about the myth of clean coal; and Fire in the Blood, the story of how Western countries condemned millions of people in the developing world to death by blocking access to AIDS drugs. Pascal also was the Editor for Public Policy Production’s Money and Medicine, an investigation of the dangers of over-treatment and runaway healthcare spending, and Dream On, a road trip in search of the vanishing American Dream. Mark Suozzo has composed music for many PBS and HBO documentaries. He has supplied scores for American Experience, POV and Independent Lens, working with award winning directors Thomas Lennon, Chana Gazit, Michael Camerini & Shari Robertson and Cynthia Wade. Mark composed music for Roger Weisberg’s and Josh Aronson’s Sound & Fury as well as Roger Weisberg’s and Murray Nossel’s Why Can’t We Be A Family Again?, both of which garnered Oscar nominations. Mark also scored Whit Stillman’s films Metropolitan, Barcelona, Last Days of Disco, Damsels in Distress, The Cosmopolitans and Love & Friendship. His other film credits include Mary Harron’s The Notorious Bettie Page, and Shari Springer-Berman and Bob Pulcini’s American Splendor and The Nanny Diaries. 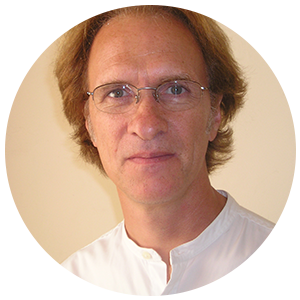 Mark is currently the Co-Director of the Graduate Film Scoring Program at NYU/Steinhardt. 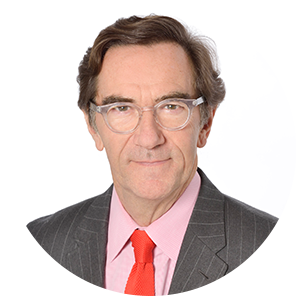 Stephen Segaller oversees all national programming from WNET’s producing entities – THIRTEEN, WLIW21, Creative News Group and NJTV. These productions include Great Performances, Nature, American Masters, Secrets of the Dead, PBS NewsHour Weekend, and Cyberchase; documentary series featuring Henry Louis Gates Jr., Niall Ferguson, and Simon Schama; Shakespeare Uncovered, about to air its third season, and Women, War & Peace, airing in 2019. 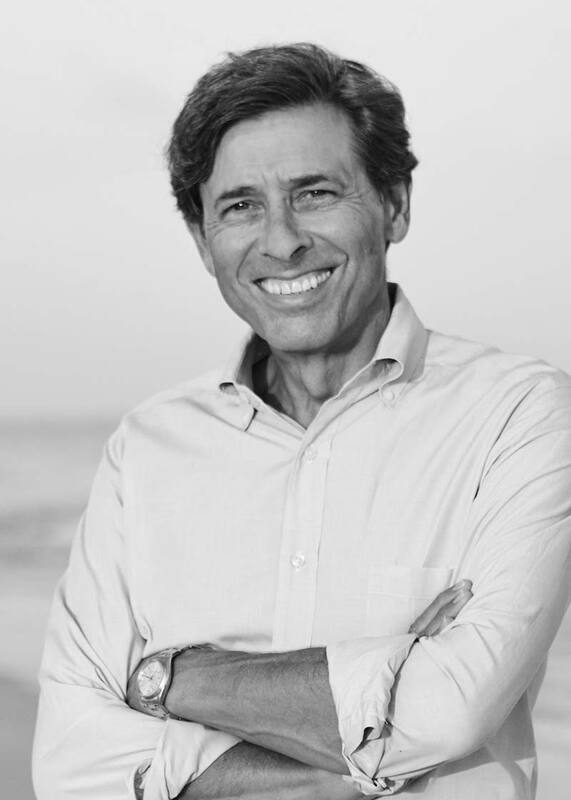 In September 2018, Segaller’s portfolio as executive in charge will include Amanpour & Company – the nightly news and conversation program featuring CNN’s Christiane Amanpour and four New York-based contributing correspondents: Walter Isaacson, Michel Martin, Alicia Menendez, and Hari Sreenivasan.